Kershaw Skyline Review: What Makes This Kershaw Knife Unique? For many people a knife is a serious bit of business. Those who use knives everyday need something they can rely on. There are many different uses for a knife, be it for personal reasons, or on the job. You need a knife that’s going to perform flawlessly, and the Kershaw Skyline does just that. There are number of different facets to a good knife people should be aware of before they choose one or more. Some people collect knives and have a different use for each one. All have a variety of features in common. Blade material. 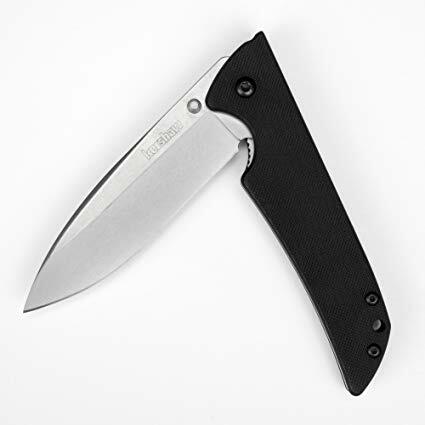 The material used in the Kershaw skyline blade has to be strong yet be somewhat flexible. Excellent quality knives should be made of stainless steel that is treated and manufactured to withstand tough conditions and heavy usage. The blade of the Kershaw skyline is a heavy duty stainless steel that offers just the right blend of strength, power, and flexibility. Blade shape. The shape of the skyline blade is spear-pointed, made of a hollow ground process that makes the blade lightweight but piercingly strong and firm. Blade size. The size of the blade is perfect for everyday carry and work purposes, and good for many outdoorsmen as well when out fishing or hunting. An all around good size to conceal your knife if needed as well. Handle material. The handle material of the Kershaw skyline is heavy duty and offers a superior gripping power not found on many models of everyday carry knives, but they wish they would Now that we know a little bit about knives. The one of the most popular and stylish knives on the marketplace today. The Kershaw skyline knife has garnered a lot of praise from both knife collectors and the average user. Although it’s up to you to decide how well this night performs and whether or not it lives up to your expectations, these are some of the reactions users have reported over time. Kershaw knives are a special knife that have created a loyal following. Kershaw uses a variety of technologically advanced materials and design properties to create one-of-a- kind outstanding knives. The skyline model takes from this design formula a number of awesome features as we have explained. 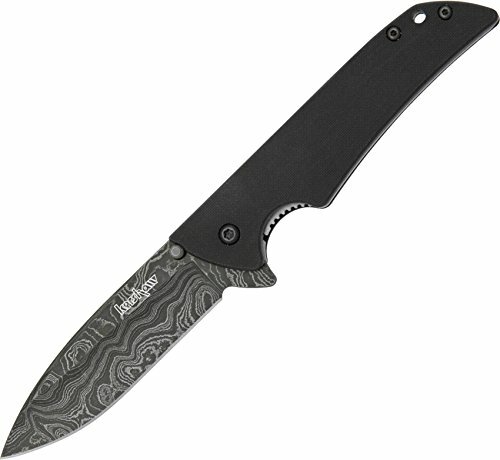 If you are interested in purchasing a Kershaw skyline knife, they are rather inexpensive generally and run between 35 to $50, depending on where you purchase it. Considering the quality involved in this knife, you’re not going to find a better knife at a better price. We could find this knife in many different online marketplaces and they are widely available offline as well. 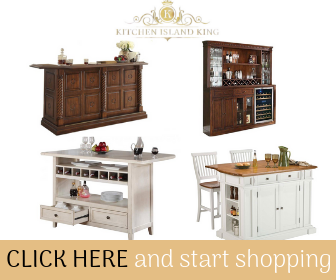 Better camping goods manufacturers stores and sporting goods outlets have them on sale frequently. It is possible to get deals on Kershaw knives by combing sources of sporting goods online and finding the treasured special here and there. The skyline is one of the better deals you will find in knives and is really not beyond the budget of most knife enthusiasts. You can expect that you will not have to pay more than $50 for one of these knives anywhere, or you will be paying too much. Kershaw knives are one of the better manufacturers of quality blades and are known all over the world. Many knife collectors or sportsman swear by Kershaw knives and use them exclusively. Kershaw has a wide following of very loyal customers. The fact that Kershaw knives are made in the USA brings a lot of Patriots on board as well. But Kershaw knives are known as a quality manufacturer of superior blades that are well respected and cherished among knife lovers. The perception of this particular model is outstanding. Many different knives are available by Kershaw and everybody seems to have a favorite. 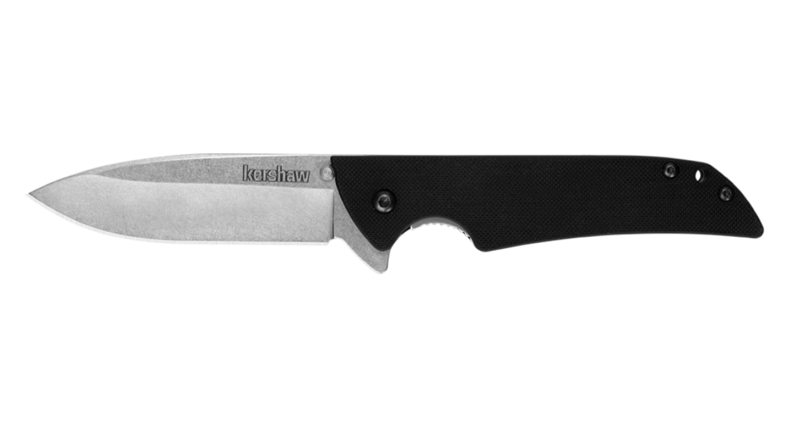 There are quite a number of people who are particularly fond of this Kershaw Skyline knife. Kershaw Skyline knives are one of the best manufactured knives on the marketplace today. There are other high-quality manufacturers of knives, granted. However, the Kershaw Skyline has a certain look and feel they can’t be duplicated amongst the other types of knives available. A solid knife all in all, but when you come right down to it, those who prefer Kershaw knives almost always come back for more, and recommend them to whoever they can. Kershaw knives invoke a man’s loyalty based on quality and the sheer beauty of its design. The performance compared to other knives is also superior in many cases. Kershaw Skyline is a high-end knife that demands attention and respect. Not all the other knives can claim such a position in the knife world. The Kershaw Skyline is said by many to be the very best everyday carry knife available on the marketplace and not only compares to the competition but exceeds it in performance and quality hands down. This is a classic blade with features that are hard to beat in any knife at any price. Most other knife manufacturers do not offer the same advantages and specifications you will find in this model. For most knife lovers, having a skyline in their collection is a must. This knife is known the world over and is a prized possession for any serious knife collector. Well-loved and well respected some up the Kershaw knife reputation. It is a well-known fact that nobody comes up to the quality of a Kershaw knife without a great deal of effort, and that number is few. The Kershaw Skyline is an excellent knife worthy of the praiser it has received from thousands and thousands of knife owners. There may be some difference of opinions about some of the features and drawbacks to the knife. However, for many people they swear that they cannot live without once it they’ve owned it. Ownership is based on a matter of taste. What this knife does for someone it won’t do for another, so it does come down to a matter of personal preference. At the price you won’t find a better knife. That’s for certain. And being a high-quality knife with excellent features you will have a reliable knife and keeps it edge and remain functional for a lifetime. Kershaw provides a lifetime warranty on all of its products, so you should be aware that if you do invest in one of these knives, it is protected for the duration of your time on Earth. You do not need to worry about your investment in a Kershaw knife. It will more than satisfy most people. And those who love knives won’t be disappointed with the Kershaw Skyline. You can get a deal on a Kershaw knife in all kinds of different places such as Amazon or eBay or any of the manufacturer outlets. You may not want to pay full price for the knife that you choose. So, it’s best to shop around no matter what you do. In order to find the best deal on a Kershaw knife, comparison shopping on different models on different websites would be the thing to do. Or in the case of offline shopping, going in person. Sometimes, that’s a good idea because then you get to hold the knife in your hand and examine it yourself. If you are not certain of what kind of knife you want to get immediately, you may want to take the time to consider all of the potential models of Kershaw knives in the marketplace. There are quite a few of them available all with different features. The Kershaw Skyline knife is a favorite for many people. If you are unfamiliar with how to buy a knife, you should examine its features and benefits and compare them to other knives before you make your purchase. If you are still uncertain and are basically trying the knife out blind, then you should make sure there’s an adequate return policy in place in case you are unsatisfied. With a good return policy, you should be able to purchase another knife from the same dealer. Trying out different knives will give you a good result in the end. You may just want to collect knives and start with the Kershaw Skyline as well. Most people who purchased Kershaw knives online don’t have any issues with customer service concerns. Sometimes you are not allowed to carry and conceal a knife in public places. Know your local regulations. It is better to know them and be on the side of the law in these cases. Knives are a wonderful thing to have, but you need to make sure to also be careful as far as safety is concerned. Always cut away from yourself when you’re using a blade as this is a common safety practice and prevents many injuries. Kershaw blades are extremely sharp, so you need to take care not to injure yourself or others. If you are taking necessary precautions and make sure you get a good deal on your purchase, you should be extremely satisfied and pleased with your Kershaw knife for many years to come.